The Penn Hills Police Department is responsible for the hiring and supervision of school crossing guards. The municipality employs a contingent of crossing guards that are comparable to communities of our size. The complement of crossing guards is based on the needs of the school district and is subject to change on a yearly basis. The primary responsibility of a school crossing guard is to aid children in safely crossing streets as they walk to and from school. Crossing guards aid in deterring children from unsafe behavior near vehicular traffic, as well as alert passing motorists that children are gathered or crossing at bus stops, and they can report any dangerous conditions or potential hazards in the area. 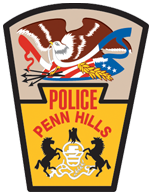 The Penn Hills School District works closely with the police department in determining locations and times of crossing posts.